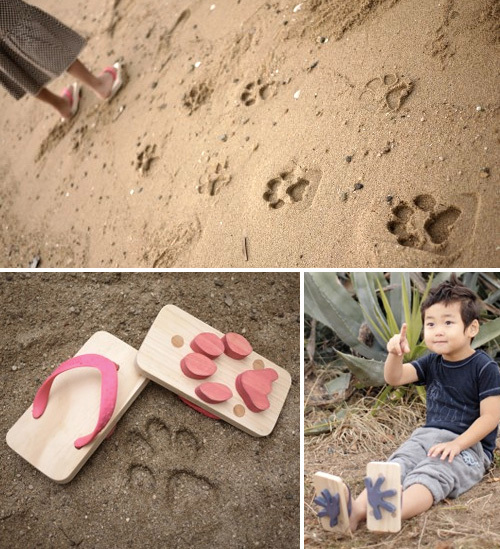 My first post on OhGizmo! appeared on February 10, 2006. Over 5 years and 5,877 posts ago. But all good things must come to an end. So it’s with a bit of sadness (but also excitement for the future) that I officially publish my last post here on the OG. I’ve had some amazing experiences during my time here, met some fascinating people, played with some fun toys and even made a few enemies. But having the opportunity to do something I’ve truly enjoyed, day in and day out for the past 5 years, has easily been the best part. I’d like to thank David for giving me a chance back in the day. And for giving me the creative freedom to hunt down and write about a wide range of gadgets and gizmos that have hopefully made for some interesting reading over the years. I’ve also been lucky enough to work with some very talented individuals including Evan and Chris, whose contributions made this job even more interesting. I’d also like to thank all of the regular readers and commenters who provided a daily barrage of humorous commentary, and the occasional correction. And to everyone else who’s fortunate enough to spend their days writing about technology; thanks for linking to OhGizmo! and my posts over the years. But rest assured I’m not walking away from this blogging thing. I’m joining another team of very talented writers, and if you follow a variety of gadget blogs I think there’s a pretty good chance you’ll easily find my sarcastic rants and opinions again in the coming weeks. 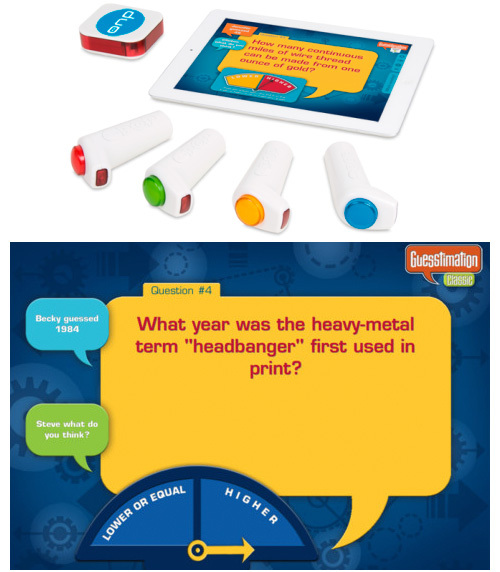 I’ve been watching the evolution of gadgets and gizmos since I was a kid growing up in the ’80s. And as impressed as I am with modern marvels like smartphones, GPS navigation devices, electronic paper, and even laptops as thin as a razor. I’m equally impressed that I can now walk into any toy store and buy an RC helicopter that can be flown around my living room. Particularly since I can remember thumbing through hobby magazines back in the day, gazing in awe at the complicated, large and expensive remote controlled choppers that appeared to be more difficult to fly than the real thing. That was many moons ago, though. And while you can still buy incredibly expensive RC helicopters that can perform amazing feats of aerial prowess, I’m content to stick with the cheaper, electric variety that have become commonplace in toy stores today. 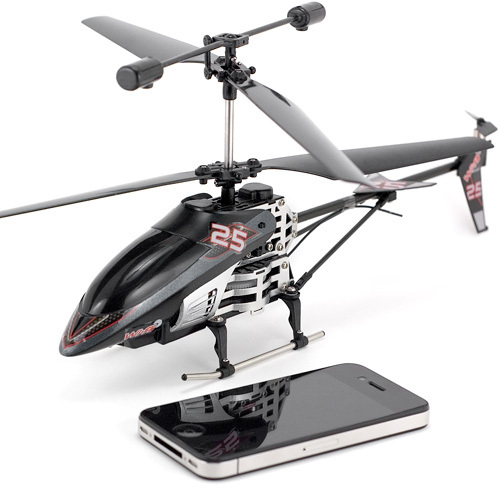 Recently I had the opportunity to check out Interactive Toy Concepts’ (the company behind the flying Duck Hunter game) Wi-Fli RC helicopter, which, as the name implies, is controlled by a smartphone via a wifi connection. I’ve never been a big fan of using virtual controls for gaming on a touchscreen device, so I was skeptical as to how easy it would be to control an actual helicopter in flight. Dying in a game is one thing. Crashing a helicopter into your flat screen TV is another. So check out my full review after the jump to see if using your smartphone as a whirlybird wireless controller is a good idea or not. By Andrew Liszewski on 10/05/11 • Leave a comment! I’m still not convinced the iPad is quite large enough to be used by more than a couple people at one time. But clearly I’m in the minority, as Discovery Bay Games has released another ‘appcessory’ that turns the iPad into a multiplayer quiz game. Available now for ~$40, the game comes with a set of 4 wireless poppers (and a base station) that lets players buzz in to answer or participate in a series of games or quizzes. At the moment there are 3 titles to choose from: Guesstimation – Duo, Highlights Hidden Pictures Countdown, and Saturday Night Live – The Game, all available for free from the iTunes App Store. I’m assuming more titles are enroute as well, but to extend their replay value each game also has additional content available as an in-app purchase. By Andrew Liszewski on 10/04/11 • Leave a comment! As much as we’d like to hope they’ll be, every single Apple PR event can’t be a game changer. And today the world breathed a somewhat disappointed sigh when Apple’s public faces unveiled a marginal update to the current iPhone 4. The mythical iPhone 5 that’s been spotted roaming the woods in Washington, and hanging with Salman Rushdie in dark corners of pubs, was no where to be seen. What took its place was the also speculated iPhone 4S, which like the iPhone 3GS, has a host of marginal updates that will probably have most iPhone 4 users upgrading anyways. On the inside it’s packing a dual-core A5 chip which Apple claims is twice as powerful as the iPhone 4’s brains. With seven times the graphical prowess, while still being power-efficient for a slightly longer battery life. 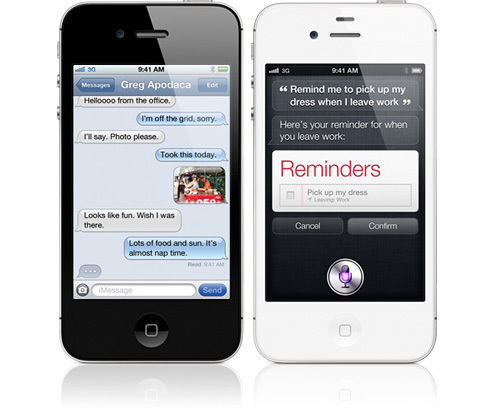 The notorious iPhone 4 antenna problem has supposedly also been resolved, adopting the case design of the Verizon model. But the 4S is now also a world phone with both GSM and CDMA hardware inside, making them easier to sell from a trunk the world over. The camera on the iPhone 4S has also received a notable bump, with an 8MP sensor and an f/2.4 aperture making it better suited to shooting in low light conditions. On the video side the iPhone 4S now records in 1080P as well. Combined with the imminent release of iOS 5 next week, and cool new tricks like being able to launch the camera from the lock screen, the iPhone 4S is probably going to continue to be tough competition to dedicated point and shoots. Listen people! How often do I have to keep saying this? All of the research we’re putting into robotics and artificial intelligence is just bringing the inevitable robot apocalypse closer and closer. I mean I can understand the appeal of the robot butler, but it’s getting to the point where we’re just handing these mechanical men our world on a platter. So it’s with a raised and concerned eyebrow that I look at Berg London’s latest creation. 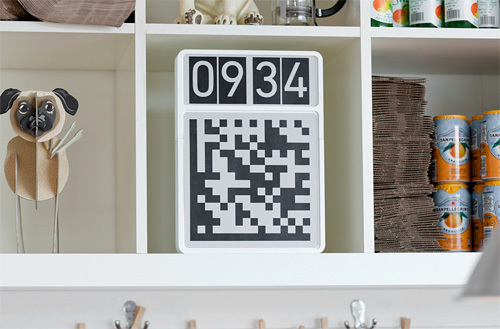 It’s your standard digital clock, but underneath the numerical display there’s a QR code that’s constantly updated to reflect the current time and location. The thought process behind its creation is to provide artificial eyes and vision systems, even including the camera in your smartphone, with an easier way to read the time. It might not be so useful to an always-connected device like a smartphone, which just gets the time from a cellular signal. But it makes more sense for something like digital cameras which aren’t as always-connected just yet. It unfortunately also makes it easier for robots to keep track of when their aforementioned rebellion is supposed to start. Which is why I think we’ll eventually regret such thought projects when the robots end up being remarkably on time for overthrowing humanity. Professional athletes often rely on very specialized gear. But the latest addition to Garmin’s Forerunner line of GPS capable watches is designed for athletes from all disciplines. Including cyclists, runners and even swimmers. The 910XT continues to shrink wristworn GPS technologies with a form factor that can even be worn when getting in or out of a tight wetsuit. The press release claims the watch is water resistant to 50 meters, though I’m hoping they mean ‘waterproof’ otherwise I’d be leery of ever submerging it. But I’m suspecting the latter since it’s designed for both open water and pool swimming, keeping track of metrics like swim distance, stroke identification, stroke count and pool lengths. It’s also capable of calculating a swimmer’s ‘swolf’ score which, according to Garmin, is “the sum of the time for one length plus the number of strokes for that length.” And like golf, the lower the score the better. For those who prefer exercising on dry land (for the record I count myself in neither camp) the Forerunner 910XT includes all of the necessary stat tracking for runners and cyclers like distance, pace and speed, elevation and even heart rate when used in conjunction with a monitor. A quick-release bike mount even keeps the watch front and center while riding, and a new ‘Virtual Racer’ feature lets athletes compete against their best times. Battery life is rated around 20 hours, but I’m assuming with the GPS functionality disabled you can get away with wearing it as a regular watch for a few days between charges. 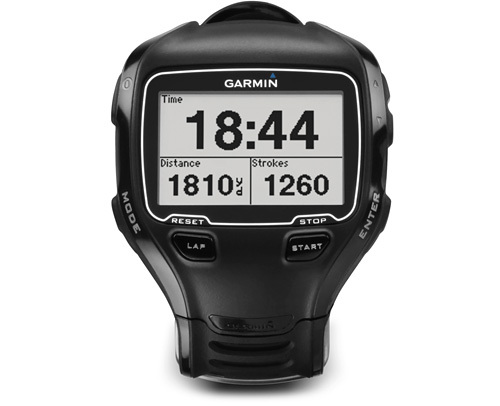 And of course all of the data the watch collects can be offloaded to your PC for analysis, or uploaded to the Garmin Connect online community if you’re particularly competitive. Pricing and availability are still TBA. Could Touch Sensitive Steering Wheels Make For Less Distracted Driving In The Future? The advent of GPS navigation devices, elaborate car stereos and touch screen interfaces have made staying focused on the road, while driving, more difficult than ever. Gone are the days when choosing between AM or FM was your biggest distraction. 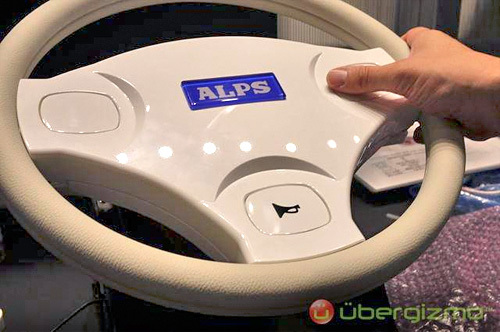 So at CEATEC a company called ALPS is showing off a concept design for a steering wheel that features touch sensitive pads in lieu of a complicated array of buttons. Adjusting the volume of your music, or skipping tracks, is as easy as making swiping gestures just like on your smartphone. By centralizing all of these commands into one area, there’s less hunting and pecking for the driver as they look for a specific button. Which in turn, keeps their eyes on the road. The steering wheels could even incorporate handwriting recognition. Making it easier to enter a destination into a nav unit instead of battling with less than perfect voice recognition. Remember the communicators worn by those serving on the USS Enterprise in Star Trek: The Next Generation? Well you can think of the HIOD One as kind of the same thing. Except that instead of being used on a Galaxy-class starship, it’s used by bikers. And instead of being able to communicate to the entire crew, even when off-ship, the HIOD One lets you talk to 5 other riders at a distance of up to 1,300+ feet. 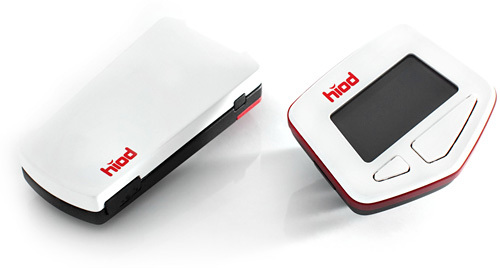 The HIOD One system appears to be composed of three components. A handlebar mounted control unit that features a high-contrast OLED display. A voice unit that is worn on the rider’s arm, and a wireless microphone that attaches to the chin strap of their helmet. They all speak to each other over Bluetooth, allowing you to easily communicate with other riders while still paying attention to the road. And because the system does rely on BT, it’s also able to place and receive calls from your mobile phone, or stream music without you ever having to manually operate it. Now I realize the whole TNG analogy I made was maybe a little ambitious. So perhaps comparing the HIOD One to a modern equivalent of the CB radio is a bit more accurate. And as for pricing and availability? It looks like the company behind the HIOD One is still looking for distributors and dealers to sell it. So it could be a while before you can get your hands on it.